DH’s company just sent us an informative “brochure” to us or “current resident.” Which struck us as pretty weird? Even weirder? The content. How to convert from our current (corporate) healthcare plan to COBRA if we need to. Between the addressing and the content I’m pretty much just spooked! I wonder if DH is going to be laid off (again) and some part of their great corporate dumb mind moved too fast? Could be. Or, it could be as DH said, because the company is overseas (India) they’re just crossing their t’s and dotting their i’s to appear more American friendly. Don’t know, but definitely spooked! Had a friend over who has seen this place many a time. They said that I have “less stuff” and I know that I do, but sometimes it’s hard to believe it when the house is still a mess! The new “magic of tidying up” book that is a current fad is by a Japanese teenager, if I remember correctly. I bought it when it was new and then loaned it out. I have a problem with taking advice from a teenager about getting rid of stuff for various reasons. One, I’m a long time and a LOT of stuff away from being a teenager. Two, the PTSD and its complications, which are never something anyone says anything about, except, “Get help.” Well, yes, I’ve done that, for about 40+ years now. I’m doing better, but simplistic ideas don’t address whatever the hell it was that got me here to begin with, and I doubt a teenager has the ability to have that much empathy or the knowledge to deal with my issues. I sure didn’t at that age. Three, I dislike, just on general principle, one- size -fits-all cures. I’m a cynic. You could say that I have reasons for it. Part of the getting stuff better here is that we are working at finding places to put things. Outside, that includes the equipment for dealing with snow, grass, hauling things, etc. We have no garage, basement or attic to speak of. All those outdoor maintenance pieces just sit outside. We’re working on it. We’re also working on the firewood situation (we need about 3 more cords for winter than we’ve got if we’re going to heat primarily with wood next winter). The two things together, the need to store equipment and wood, as well as the need for wood prompted what we did today. There’s about 4 fewer trees on our lot than there were this morning. They were cut into firewood sized logs approximately, large kindling and the smaller branches with leaves still attached are in two piles. When the leaves dry up, I’ll cut them into small kindling. The next step of what we were doing is to attach a shelter for equipment that’s been in the middle of the lawn to a shed. It needs lattice around it for a couple of reasons: 1)looks and 2)to help keep the critters, etc. off it. This will give some of the equipment someplace to be put away AND make the house look better. All good! I really need to get back into the house and do another major purge o’ stuff, but the sunshine and garden are so seductive, I have a hard time doing almost anything inside these days! I wish we had a sleeping porch, I’d be sleeping out there too! Saving Money on Organic Soap, Glasses, Cream Rinse and . . . .
BAR SOAP: Since I’m an eco-freak, scent sensitive AND I’m a cheapskate, a long while ago I started looking for unscented, affordable, organic soap bars. Dream on, right? You can find –organic, unscented bar soaps– easily enough, but cheap they’re not! Then I had an idea, how about melt and pour soap? And that has worked, for years. I buy organic melt & pour soap base (I’ve seen it at Michael’s, but never when I actually needed any.) in 2 lb packs, which lasts about 3 years. I get them here. and as of this writing, it’s $10.95 + shipping for a 2 lb package. I cut it up in 1 lb quantities. That cuts down into about 10 small bars of soap, like hotel soaps. DH prefers liquid soaps, so I’m the only one who uses it. But it gives me organic, unscented bar soap at a price I can afford. 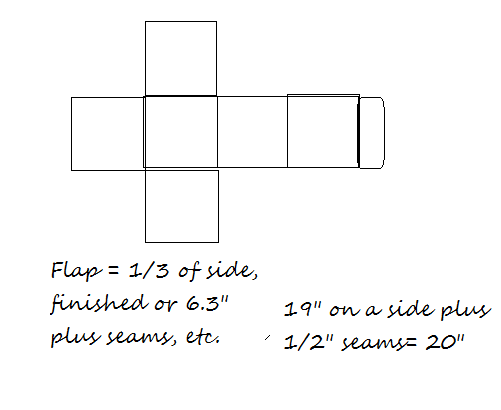 Yes, I have to do a little work in cutting the 2 lb slab apart (it comes with “scores” for dividing in it 1/4s) and then cutting the quarters into 5 “bars” but so? It’s .55 a bar, plus shipping. I can find soap that cheaply, yes. But not the unscented, organic stuff. One warning though: it IS melt & pour soap base. If you’re inclined to leave soap in the water, this is not a frugal option for you! SHAMPOO: Before everyone it the US went in for scented everything I used to buy shampoo base in gallon bottles from beauty supply shops. It’s regular shampoo, just concentrated. I found out about them because I asked a lady who cut my hair where they got their shampoo? She said it came in a concentrated form and they got it wholesale, but when they ran out, they got it from the local beauty supply store. Since aromatherapy, I haven’t been able to buy my shampoo this way, but a gallon bottle used to last us about a year and a half, if I remember correctly! GLASSES: Saving money on glasses? I learned this one from my husband. The easiest way is to reuse your frames. If you’ve got good frames, use them again! CREAM RINSE: Well, it depends on how old you are. Really! After the change, my hair got “sticky.” It is fragile and breaks easily. Apparently I’m not alone. I found an AARP write-up that said that women of a certain age should use more cream rinse. For me, that isn’t enough (I used to have REALLY nice hair!) I hate what my hair has become, I use Giovanni, Nutrafix, Hair Reconstructor these days. I use it like I used cream rinse before. For a long time now, I’ve used a wide-tooth comb and gently combed out my long hair, in the shower. When younger, I’d put about a dime-size blob of cream rinse in my hand and use it as a detangler on my damp hair. (I didn’t always need to rinse it.) I bought cream rinse about once yearly, and yes, I have had long hair for some time. I use the hair reconstructor the same way, but it takes more, darn it! I am contemplating turning the soap base into liquid dish soap and laundry detergent. I haven’t done it yet, or tried. If I do, I’ll let you know how that goes! Something got me yesterday. Some bug that is. The itching was driving me crazy, so I got out of bed this morning and climbed in the tub, just to stop the itch. The book is a compilation of Keene Sentinel columns and is filled with recipes and stories about the “locals” and since I know the area well, I was having a fine time. Then the cat came in. She’s attracted to water like no other cat I’ve ever known. If I get a tub bath with enough water in it, she’ll come and drink part of my tub. Makes you feel rather like the main course at a cannibal’s carnival. Disconcerting. Her entry brought with it air that wasn’t the warm, moist air I’d been savoring. It was cold. Okay, okay, I probably need to get out anyway . . . .
Then the little portable radio turned on. To add insult to injury it was an NPR station, doing a one-day fund drive. Dripping, chilled, and annoyed, I get out of the tub, wrap myself in a towel then pick up the radio. I refuse to start my morning, which HAD been relaxing, with an endless plea for money! Turn off the power button. Hit the “sleep” button. The radio stays on? I did manage to hand the still-going radio to DH instead of throwing it, but it was a near thing. He got it to turn off, but I think he pulled a battery out. Don’t know, don’t care, he got it to SHUT UP. My day continued, not quite so eventfully, but . . . I transplanted leeks, got that job done. Got the lettuces & kales planted (first round for the lettuces, first and last for the kale). Raked up the leaves displaced by that industriousness. Came inside, took a shower (blackflies and ticks out there right now), primered a piece of wallboard (to use as a test). Then decided I’d use up the minced rhubarb I’d pulled from the freezer stash last weekend, when we did the freezer inventory. Okay, cake went in the oven,after a while, the house smells divine. Pull out the rack to get the pans out and one of them goes scooting off the rack, like it was an Indy driver or something and falls on the ground. Top down, of course. So, rather than being virtuous and having a rhubarb cake to put in the freezer, I put the 2nd rhubarb cake in the trash. The other cake is still good! Some days it feels like I’m just moving 1 step forward and 1.5 steps back, you know? One of the main categories of “stuff” here are long-term held things which have nowhere to be stowed when not in use! To that end, I’ve been compiling lists of things which need “homes”: out of season bedding, garden equipment, etc. One bugaboo is down comforters. It gets COLD here during a North East winter, and we have more than one. But during the warm months, they have nowhere to be put away. My last idea was to put them atop the wardrobe, which works fine, but looks terrible and doesn’t keep them clean. Putting them in plastic bags doesn’t work, because it’s impossible to keep them flat and tidy. Also, according to one source I found (a down comforter manufacturer) they should be stored in something breathable, not plastic anyway. Hmmmm. So, an idea: why not make little “boxes” of fabric for them? If need be, the boxes could be enforced with buckram “boards” But if not, it would be a pretty easy thing to sew up and it would both 1) make them tidy and 2)keep them out of the dust, etc. So this morning I designed a box for my down comforters to be stored in. I have old sheets I intend to make these with, probably at least enough for 2. I made a sketch of what I had in mind on a graphics program, printed it out, then cut it out and put in creases where I’d have seams. The first version was obviously wrong, I’d forgotten a side. Then I did a little tweaking and came up with what’s below. This is a “sketch” and NOT cleaned up, so it isn’t perfect. The idea is to give me enough info that when I go to mark, cut, sew my fabric I’ll remember what I learned from my little paper boxes. But this is NOT a pattern! Do you do things like this? I’ll post updates as I make a pattern, mark, cut, sew and try and use these. We’ll see if my crazy idea works! I spent a week working on the yard, this week’s focus is back on the house. I expect to again be purging books like mad and other stuff. I have to get ahold of the VFW where I set up at their yard sale last month and get another space for this month’s sale. What made it worthwhile was DH’s tools we sold, but that’s okay, what sells is what sells! Also, I’ve been working on the food plan for us. The CSA and garden should provide us with almost all the food we’ll need for the winter. Yesterday, DH and I culled down the freezer, last year I did this in August. I wanted to do this AHEAD of the annual food to go into the freezer glut in June – August, so I’m proud of myself. We pitched everything from 2013. There wasn’t anything older, as that’s when our fridge died. Been working on one of the frugal website ideas. When I get it done, you’ll hear about it; I promise! It’s spring, feels like summer, and there’s more to do than I have time to get done — as usual! For example, take bread. Probably the cheapest way get a year’s worth of bread would be to grow your own grain, grind it into flour, use a DIY sourdough starter and then make bread as needed. Of course, if you live in a city apartment, that alternative is just nonsense. If you’re working 3 part-time jobs to make ends meet, it’s also nonsense. Frequently, you’re trading your time and efforts for money. To decide if it’s worth doing something like baking your own bread you can go one of two directions. You can price it out by ingredients, or you can decide the effort is worthwhile based on the other factors: the time and effort to avoid DIY. There are the other factors: we’re about 11.5 miles from the closest supermarket. At $3/gallon for gas, that’s about another $5.50 in gas, for two round trips. * That makes our weekly total, about $35.50 (baking time + gasoline). Also, that 11.5 miles takes about 1/2 an hour to drive each way, so that’s another $10 in time spent, per trip. For us, it’s cheaper to make our own bread using time and fuel as well as the final product to compare. As the saying goes, your mileage may vary! What prompted this blog was the many price comparisons based only on ingredients for DIY vs. store bought. The best approach would be to include all of the above factors AND all the ingredients and fuel to bake bread. However, that would include things I do not know, how much fuel my stove (propane) uses in an hour of baking time, for example. If you use a partial DIY alternative, like buying frozen bread dough, you can cut the time factor down for DIY to simply the hour and a half to let the bread rise and then bake it. So a partial DIY= (time without fuel or materials=) $15 Which is of course cheaper still! And no, I do not have a price handy for frozen bread dough. I’ll have to look the next time I go to the market! Bread dough is usually sold in 3 or 4 packs. So would it be cheaper to bake your own bread or not? You decide! *I don’t know about you, but I almost never actually buy 2 loaves of bread at a time, so we end up making two trips a week. If you eliminate the 2nd trip, making bread at home or buying it at the market are almost equal. You know yourself best!